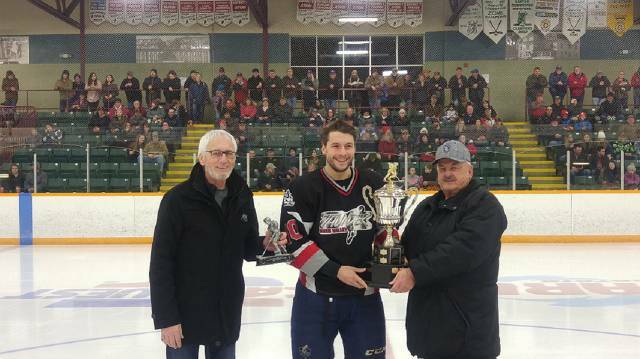 The St.Quentin Castors won their 5th Gerald-Martin Cup on Friday night, defeating the River Valley Thunder by a score of 9-7 in a hard fought battle which lasted until the late stages of the contest. With a 7-6 deficit with less than 7 minutes to play in regulation time, the Castors stormed back with three unsanwered goals, including the game winner at 17:13 by Bryce Milson who would also add the insurance goal 37 seconds later. 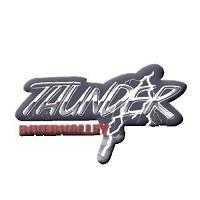 Mike Thomas (2g 1a), Zack Foster (1g 2a), Brandon Parsons (1g 2a), Peter Trainor, Ben Dee and Luke Gallant tallied for the Thunder who were deprived of their first title once again after their fourth try in the last five years. St.Quentin was the most opportunistic team throughout the series as they scored a total of 12 goals in the third period and in the overtime frame. The Castors also added 5 goals with the man advantage. It was however the first offensive line that did the most damage, scoring 14 of the team's 24 goals. Peter Trainor was the Thunder's leading scorer in the final series with 4 goals and 9 assists for 9 points, followed by Brandon Parsons (5g 3a) and Mike Thomas (4g 3a). Despite the loss, it was a very productive season for the Thunder who finished the regular season in 3rd spot in the standings, storming into the finals with an 8-1 record before losing 4 close games to the Castors. 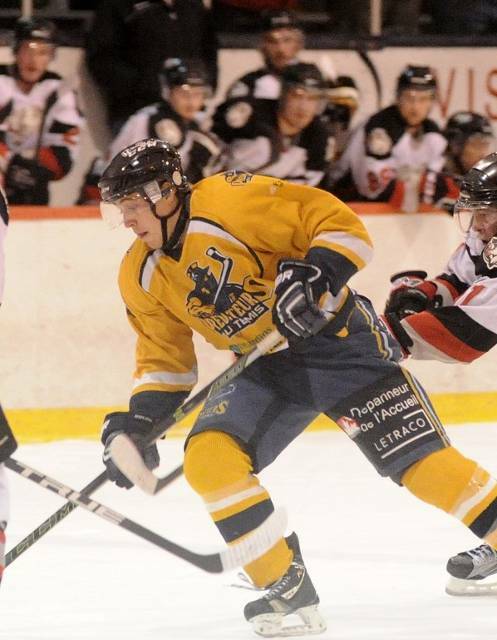 Jason Thibault scored at 2:51 of the overtime frame on Wednesday night, giving the St.Quentin Castors a 5-4 victory over the Valley Thunder, giving the team from Restigouche West a 3-0 advantage in the series. Game 4 will be on Friday night in St.Quentin as the Thunder will face elimination. Both teams skated off to a 1-1 tie after twenty minutes of play as Peter Trainor and Raphael Pelletier tallied for their respective squads. Brandon Parsons gave the locals the lead in the second period with a power play goal before Pelletier tied the game once again for the Castors at the 11-minute mark. The Thunder took a 4-2 lead in the third period as Peter Trainor (pp goal) and Brandon Parsons both found the back of the net, but once again, St.Quentin staged a comeback by scoring twice, including the game tying goal at 14:34 by defenseman Mathieu Labrie. Peter Trainor had a strong game offensively for the Thunder with a performance of 2 goals and 2 assists. Note that the Castors dominated 47-36 in shots on goal. If a 5th game is necessary, it will be played on Saturday night at the RVCC, starting at 7:30 pm. It started extremely well for the Thunder in game 1 as they took a 3-1 lead midway into the contest which was played at the RVCC with more than 850 spectators in attendance. Mike Thomas, Brandon Parsons and Peter Trainor (pp goal) scored for the home team while Eddie Banville registered his league leading 17th goal for St.Quentin. However, before the end of the second frame, the Castors tied the score with two goals scored in less than a minute and a half. Defenseman Mathieu Labrie scored the game winning goal for the Castors in the third period with a shot that went through with many bodies in front of Nick Nozzolillo’s crease. The loss was hard to swallow for Jesse Perley’s squad since it was the first time since December 22nd that the Thunder dropped a game at the RVCC. It also gave the Castors home ice advantage. Pierre-Luc Thériault had a strong game in net for St.Quentin, blocking 32 shots. The score was tied on four occasions in game 2, demonstrating how this fast pace contest stayed tight till the very end. The Castors were first to light up the board with goals from Maxime Levesque and Bryce Milson in the opening period. They also dominated their opponents in shots on goal, 10 to 4. The Thunder were able to tie the score early in the middle frame with goals coming from Mackenzie Brown and Mike Thomas. After Brandon Coulombe gave the Castors the lead once again at the 9-minute mark of the period, the Thunder added two more goals to take a 4-3 lead. Sheldon Sappier scored the game tying goal while Brandon Parsons added his second of the contest with less than 3 minutes to play. Both teams came into the third by scoring with the man advantage. Eddie Banville tied the game at 16:33 as he beat Nick Nozzolillo with a shot top shelf. Then the Thunder found themselves shorthanded with less than two minutes remaining in regulation time, which enabled St.Quentin to score the game winning goal with only 24 seconds left. Bryce Milson was the hero, sending the home crowd ecstatic as their favorites were ahead 2-0 in the series. Mackenzie Brown led the way offensively for the Thunder with a performance of 2 goals and 1 assist. 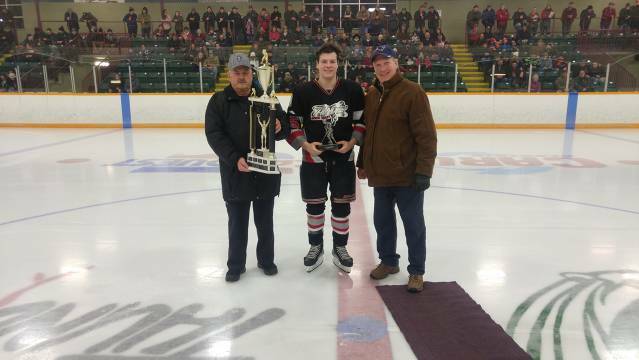 ROD LANGILLE was named the RHL's Rookie of the year for the 2018-2019 season. Langille tallied 7 goals and 14 assists for a total of 21 points in 28 games played during the regular campaign. PERTH-ANDOVER – The third goal of the game by Danny Chiasson scored at 29 seconds of overtime gave the Haut-Madawaska Panthers an 8-7 overtime victory on Tuesday night against the River Valley Thunder, ending the series with four consecutive wins. The Panthers take the Gerald-Martin Cup for the second time in team history. Chiasson also tied the score late in the third period with a shorthanded goal before he beat goalie Nick Nozzolillo with a perfect wrist shot in overtime. The 915 spectators who attended the contest at the RVCC saw a high scoring affair as both defenses were less efficient than in previous games. The Thunder took the lead five times and just couldn’t hang on. Sheldon Sappier’s goal at 13:25 of the third period gave Perth-Andover a 7-6 lead but Chiasson took things into his own hands by handing the Thunder a crushing blow with two big goals. The River Valley Thunder came out strong in the opening frame by being very physical. With momentum on their side, they scored the first goal of the game as Mackenzie Brown tallied his first of the series at 3:37. The Panthers tied the score when Ricky Lagace’s shot was deflected in off a Thunder defenseman at 11:15. A lack of discipline on the Panthers part resulted in two power play goals by the Thunder as Sheldon Sappier and Lachlan MacIntosh scored 75 seconds apart to put the Thunder ahead 3-1. The Panthers reduced the margin late in the period when Maxime St-Cyr scored with the man advantage and after twenty minutes of play, the score was 3-2 in favor of Perth-Andover who dominated 14-8 in shots on goal. After a goal was reversed for Perth-Andover in the second period, they tried to take advantage of another power play but both Maxime St-Cyr and Chad Lacasse scored shorthanded for the visitors as they took a 4-3 lead. It wasn’t for long though as Ben Dee tied the score at 13:53. Adam Laite gave the Thunder the lead again at 17:21 but with less than two minutes remaining in the second, Danny Chiasson scored his first goal of the game to tie the score at 5-5. That score stood until the 11th minute of play of the third period when Lachlan MacIntosh gave the Thunder a 6-5 lead. Chad Lacasse tied the score once more for the Panthers at 12:20 and the next 7 minutes of play brought the best action of the playoffs. Danny Chiasson had a 3g 1a performance for the Panthers as his teammates Chad Lacasse and Maxime St-Cyr both had 4 points with identical records of 2 goals and 2 assists. 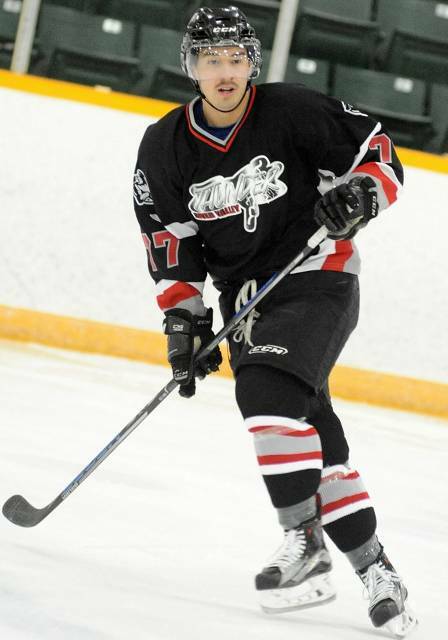 Adam Laite was the best offensively for the Thunder with 1 goal and 3 assists. Lachlan MacIntosh and Sheldon Sappier (2g 1a) and Mackenzie Brown (1g 2a) also contributed to the scoring. The Thunder dominated 40-36 in shots on goal as Billy Asselin (HM) and Nick Nozzolillo (PA) were the game’s netminders once again. 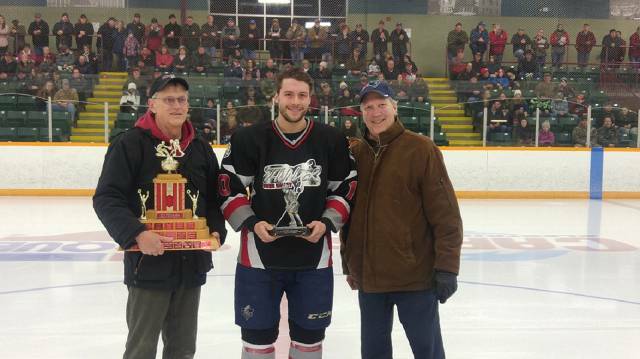 Maxime St-Cyr was chosen as the Most Valuable Player of the finals as he had a 13 point performance (6 goals and 7 assists) in four games played. 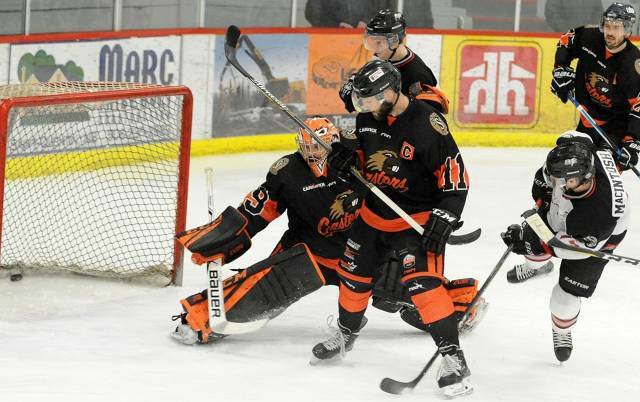 ST-FRANÇOIS – The Panthers scored two times in the opening frame and kept the lead the entire game, helping them gain a 3-0 advantage in the best of seven final series against the River Valley Thunder with a 5-3 win on home ice Sunday night. The Panthers are now one victory away from a second Gerald-Martin Cup. Five different players scored for the home team who also won for the 11th time in a row since the start of the playoffs. Over 600 spectators saw a high skilled game once more, even though one team seems to de dominating the other in different aspects of the game right now. As they did in the second contest, the Panthers dominated the first period by taking a 2-0 lead with goals from Michael Ward (power play) and Maxime St-Cyr (shorthanded). Both players scored identical goals as they were positioned behind the Thunder net, shooting on goalie Nick Nozzolillo who saw the puck cross the line behind him both times. The Thunder dominated the period in shots on goal, 16-14. Perth-Andover came out strong in the second as defenseman Luke Gallant scored with only 32 seconds of play. However, Chad Lacasse gave the Panthers a two goal lead once more with his 16th of the playoffs at 4:34. The score stood at 3-1 in favor of the home team after 40 minutes of play as the Thunder dominated once again in shots on goal, 13 to 10. The Panthers added two more goals in the third period from Dean Ouellet and Andy Landry to build their lead to 5-1. Luke Gallant got his second goal of the night on a power play at 15:40, followed by Adam Laite’s late goal (18:20), but it was too little too late for the Thunder who dropped a third consecutive game in this final series. Dean Ouellet, who was credited with the winning goal, finished the game with 1 goal and 1 assist, as did his teammate Maxime St-Cyr. Danny Chiasson had two assists for the winning team. Luke Gallant took part in all three Thunder goals with a strong performance of 2 goals and 1 assist. Billy Asselin picked up the win in net, his 11th of the playoffs. Perth-Andover dominated 48-32 in shots on goal. The Thunder now have their backs against the wall and will be facing elimination in game four as both teams meet at the RVCC on Tuesday night. Puck drop is at 8:30 pm. 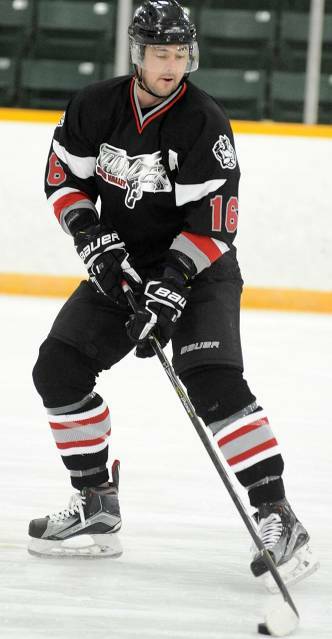 PERTH-ANDOVER – The Panthers scored four times in the opening period, cruising to a 7-2 victory on Saturday night against the River Valley Thunder to take a 2-0 lead in the best of seven final series. More than 940 spectators attended the contest which was payed at the RVCC in Perth-Andover. Chad Lacasse and Maxime St-Cyr each scored twice for the Panthers who won for a 10th consecutive time in this season’s playoffs. The next game of this series will be played on Sunday (6 pm) at the J.-Docithe Nadeau arena in St-Francois. Five goals were scored in the opening frame of this second game. The Thunder were the first to light up the red light when Adam Laite scored his 10th of the playoffs at 3:05 to give his team the lead. However, the Panthers replied with four unanswered goals. Dean Ouellet tied the score at 6:34, followed by two goals from Chad Lacasse to give the visitors a 3-1 lead. Maxime St-Cyr scored a power play goal with only 50 seconds remaining in the period and the Panthers led by a score of 4-1 after twenty minutes of play. Lachlan MacIntosh gave hope to the Thunder early in the second period as he cut the deficit to two goals. But at the 6th minute of play, Maxime St-Cyr gave the Panthers a three goal margin once more with his second tally of the game. The Panthers added two more goals in the third as Danny Chiasson and Andy Landry each scored to bring the final score to 7-2. Maxime St-Cyr took part in 5 of his team’s 7 goals with a performance of 2 goals and 3 assists. 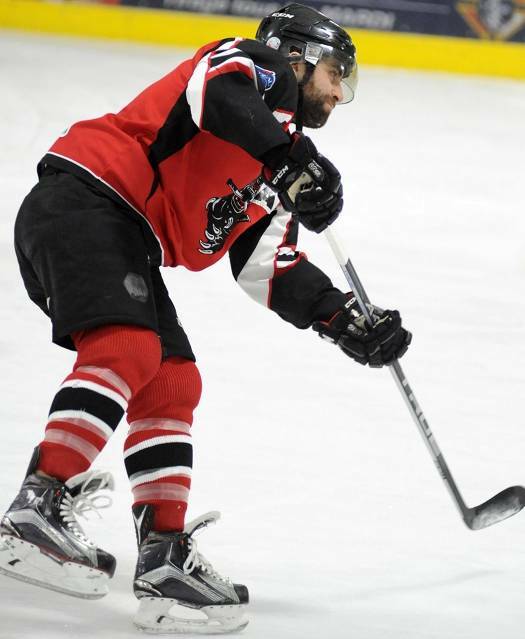 His linemate Chad Lacasse scored twice, while Dean Ouellet and Danny Chiasson each finished with 1 goal and 2 assists. For the Thunder, Adam Laite and Lachlan MacIntosh each scored 1 goal while adding an assist. The Thunder dominated 34-30 in shots on goal. They will try to win their first game of the series on Sunday, but the task will be difficult as the Panthers have lost only two times this season on home ice. 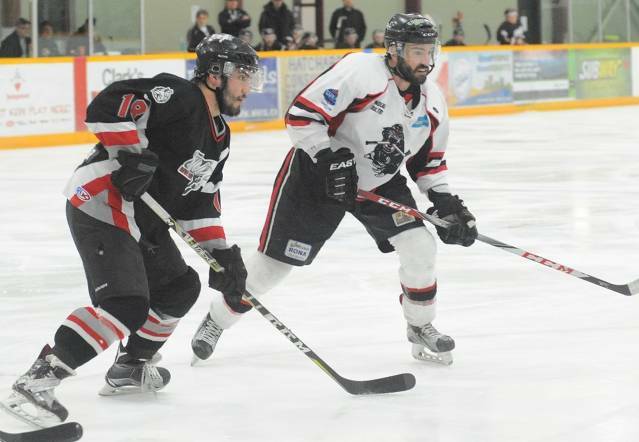 ST-FRANÇOIS -- Two goals by the Haut-Madawaska Panthers were enough to defeat the River Valley Thunder by a score of 2-0 on Thursday night in the first game of the RHL final series. Goaltender Billy Asselin registered his second shutout of the playoffs while blocking all 35 shots he faced. It was also the 9th consecutive win for the Panthers in this year's playoffs and a 14th victory in 16 games played on home ice since the beginning of the season. For the Thunder, it was a 3rd loss in 6 games on the road during the playoffs. As anticipated, defense was key to this game, despite the presence of many talented offensive players on each side. The game was played with a very fast pace with a certain physicality demonstrated at times. As witnessed by the shots on goal (35-32 for the Thunder), the two goalies had a strong showing for their respective teams. No goals were scored in the first period as the Panthers dominated n shots on goal, 13 to 8. Nick Nozolillo showed good poise as he blocked every puck that came his way in the opening frame. It took 15 minutes of play in the second period before the Panthers finally scored their first goal. Chad Lacasse netted his 13th of the playoffs and his 7th power play goal at 15:20 to give his team the lead. Lacasse was also credited with his league leading 4th winning goal of the playoffs. The Panthers added their second goal at 1:48 of the third period as Maxime St-Cyr scored his 12th of the playoffs with assists coming from Chad Lacasse and Alex Emond. The Thunder shot 15 times on goal during that final period but Billy Asselin stood strong in front of the Panthers net. Maxime St-Cyr and Chad Lacasse each had a 1 goal and 1 assist performance. They both lead the playoffs in points with 29 and 23 respectively. The Thunder will try to rebound at home on Saturday night as they host the Panthers for game two of the series. 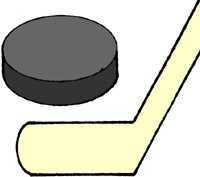 Puck drop is at 7:30 pm at the RVCC. Game 3 will be played Sunday at 6pm in St.Francois. ST-QUENTIN -- A new champion will be crowned this season with the elimination of the St.Quentin Castors on Saturday night at the hands of the River Valley Thunder. Perth-Andover advances to the final series by defeating the Castors 6-4 in game 6 with over 800 spectators in attendance. Perth-Andover will now face the Haut-Madawaska Panthers in the best of seven final series. The schedule should be available in the upcoming days. For the Thunder, it is a third trip to the finals in the past four years. In 2015, they lost in five games to the St.Jacques Ambassadors while the following season, they fell to St.Quentin, also in five games. The Thunder took the lead early in the first period with goals from Luke Gallant at 1:05 and Lachlan MacIntosh at 8:47. The Castors reduced the margin at 16:25 when Eddie Banville scored on the power play and it's by a score of 2-1 in favor of Perth-Andover that the opening period ended. Shots on goal were 16-9 for the home team. The score was tied at 2-2 early in the middle frame as Raphael Pelletier also scored with the man advantage at 1:21. However, Adam Laite gave the Thunder the lead once more at 7:01 with his first goal of the game. The Thunder led 3-2 after 40 minutes of play. The highlight of the game might have been the two goals scored by the Thunder in the first 12 minutes of play in the third. Lachlan MacIntosh added his second of the game and his 8th of the series at 3:57 while Adam Laite also tallied his second at 11:49 to give the visitors a 5-2 lead. St.Quentin came back however with two goals of their own with less than a minute apart. Eddie Banville (on the power play) and Ken Dufresne brought the score to 5-4 with less than 5 minutes to play. Defenseman David Crossman added the insurance goal at 17:46 after the Thunder won a faceoff in the St.Quentin zone. Crossman's shot beat goalie Pierre-Luc Thériault and the Castors could not recover. Adam Laite, who was credited with the winning goal, finished the game with 2 goals and 1 assist, as did his teammate Lachlan MacIntosh. Luke Gallant (1g 1a) and Brandon Parsons (2a) also contributed to the scoring. Ken Dufresne (1g 2a) led the way for the Castors. St-Quentin dominated 36-30 in shots on goal. Nick Nozzolillo picked up the win in goal, his 8th of the playoffs. PERTH-ANDOVER -- For a second game in a row, the St.Quentin Castors avoided elimination in their best of seven semi-final series against the River Valley Thunder. In front of more than 1000 spectators assembled at the RVCC in Perth-Andover on Friday night, the Castors held on for a 4-2 victory, forcing a sixth game Saturday night in St.Quentin. Puck drop will be at 8:30 pm. The defending champs imposed their will on their opponents in the opening period as they scored three unanswered goals. Yannick Thibault tallied his first of the game at 1:25, while Bryce Milson and Eddie Banville both scored on the power play at 11:28 and 12:12 respectively to give St.Quentin a 3-0 advantage. However, before the end of the opening frame, defenseman Luke Gallant reduced the margin for the Thunder with his first goal of the game at 14:14, also with the man advantage. Only one goal was scored in the second period as Gallant added his second of the contest and his 7th of the playoffs at 7:12. It was another power play goal for Gallant who now has 5 for the playoffs. The third period was a hard fought battle as St.Quentin tried to hang on to their one goal advantage. The turning point of the game occurred at the 8th minute of play of the period when the Castors took a 5 minute major penalty. With the best power play unit in the League, the Thunder could not add the tying goal as goalie Pierre-Luc Thériault made many key saves. Yannick Thibault finally added the insurance goal for the visitors, an empty net goal at 19:47. It was Thibault's second goal of the game and his 5th of the playoffs. Mathieu Labrie (SQ) and David Crossman (PA) each picked up two assists in the game. St-Quentin had a 34-31 advantage in shots on goal. Game 6 will be played Saturday night at 8:30 pm in St.Quentin. If necessary, the deciding game will be held on Sunday (6:30 pm) at the RVCC. ST-QUENTIN -- The Castors scored twice in the middle frame to break a 1-1 tie, leading them to a 4-2 victory Saturday night in St.Quentin in the fourth game of their semi-final series against the River Valley Thunder. Perth-Andover still leads the series 3-1 and will host the Castors next Friday night at the RVCC (8:30pm) with a another chance to advance to the final series. St.Quentin came out strong at home, dominating 39 to 27 in shots on goal. The Castors also held on to a one goal lead throughout most of the third period of play. Zachary Cayouette was the first to score at 5:51 of the opening period to give the Castors the lead. However, Sheldon Sappier netted his 4th goal of the playoffs at 12:51 to tie the score after twenty minutes. St.Quentin shot 12 times on goal compared to 7 for the Thunder. St-Quentin was the better team to start the second period as they scored twice in the first 5 minutes of play. Bryce Milson, at 1:36, and Ken Dufresne at 5:43 helped the Castors jump to a 3-1 lead. Brandon Parsons reduced the margin at 5:11 of the third with his 7th goal of the playoffs. Goalie Pierre-Luc Thériault resisted to a possible comeback by the Thunder as he stopped 10 shots during the final frame. Yannick Thibault added the insurance goal for St.Quentin in the dying seconds of the game to bring the final score to 4-2. Five different players scored for the Castors in the contest. Note that no player from both sides tallied more than 1 point during the game. Pierre-Luc Thériault picked up his first win in goal while Nick Nozzolillo also had a strong showing, giving up only 3 goals. PERTH-ANDOVER -- David Crossman's second goal of the game, scored at 19:58 of the third period, gave the Thunder a 4-3 victory Friday night at the RVCC as they now lead the St.Quentin Castors 3-0 in their best of seven semi-final series. Both teams meet again Saturday night in St.Quentin as the defending champions Castors now have their backs against the wall. The 750 spectators that witnessed the game saw a hard fought battle between two teams desperate to keep or change momentum in the series. The Castors had to battle back from a 3-0 deficit early in the third period as they tied the score just before the midpoint of the period with three unanswered goals. The Thunder were in control of the game when Mackenzie Brown scored his 8th 0f the playoffs early in the third frame. Not long after that, goalie Pierre-Luc Thériault of the visiting team had to leave the game because of an injury. Samy Querry came in relief, keeping the Castors in the contest while they rallied to tie the score. Eddie Banville (his 5th of the playoffs) was the first to score at 4:00 while St.Quentin was on the power play. Then followed goals by Dannick Thériault and Roch Thériault in a 1:05 span. It looked like the teams would go into overtime, but the Castors took a costly penalty as 44 seconds were remaining on the clock. Crossman then followed up with his second power play goal of the contest with 2 seconds left in regulation time. Matt Porter was the first to score for Perth-Andover at 14:41 of the opening period. Crossman then doubled the lead at 9:05 of the second period. Adam Laite and Lachlan MacIntosh each had two assists for the Thunder. Eddie Banville (1g 1a) and Bryce Milson (2a) led the way for the Castors. Goalie Nick Nozzolillo earned his third victory of the series, blocking 21 of the 24 shots he faced. The Thunder shot 43 times on the opposing net that was defended by Pierre-Luc Thériault and Samy Querry. Game 4 will start at 8pm Saturday night in St.Quentin. 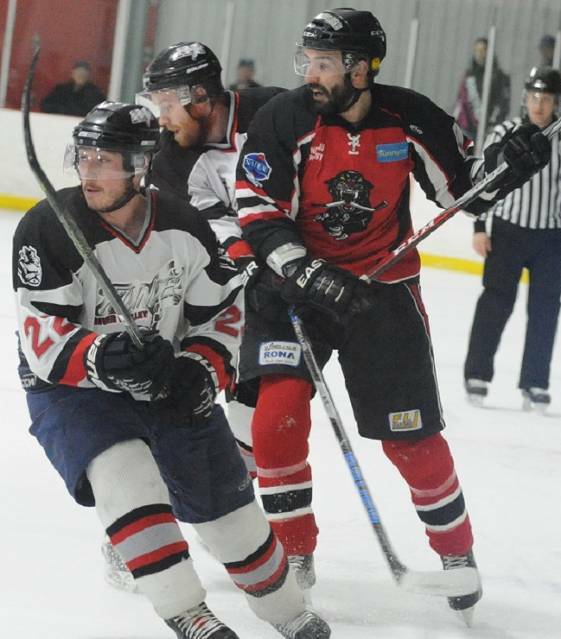 ST.QUENTIN -- Three goals in the first period propelled the River Valley Thunder to a 6-2 victory Sunday afternoon in St.Quentin as Perth-Andover took a 2-0 semi-final series lead over the defending RHL champions. The Thunder came out strong in the opening period as they scored three times. Their aggressive play in the opposing zone created turnovers which the Thunder capitalized on. Lachlan MacIntosh was the first to put the visitors on the board as he took a rebound and shot it past goalie Pierre-Luc Theriault to give the Thunder a 1-0 lead at 7:04 of the first period. MacIntosh then took advantage of a miscue by the Castors in their own zone to find himself on a breakaway, scoring his second of the period for a 2-0 Perth-Andover lead. Then with the man advantage, Mackenzie Brown also broke alone in the St.Quentin zone, beating goalie Theriault for a 3-0 Thunder lead. Perth-Andover dominated the first period in shots on goal, 15-4. St.Quentin came out more aggressive in the middle frame as they tried to create more traffic in front of the Perth net. However, goalie Nick Nozzolillo remained solid, making key saves and keeping the Castors frustrated on offence. It was the Thunder who scored the first goal of the period when Adam Laite tallied his 7th of the series at 10:20. Two minutes later, Bryce Milson finally beat Nozzolillo for the Castors' first goal and it was then 4-1 in favor of the Thunder after 40 minutes of play. The Thunder took the game away from their opponents in the third period, scoring twice with goals from Brandon Parsons (his 6th of the playoffs) and Bradley Johnston (his 3rd). Bryce Milson scored his second of the game for St.Quentin at 13:56. Lachlan MacIntosh led the Thunder offensively with his 5th and 6th goals of the playoffs while Brandon Parsons (1g 2a) and Sheldon Sappier (3a) also contributed with 3 points each. Perth-Andover dominated 33-22 in shots on goal as Nick Nozzolillo picked up his 6th victory since the first playoff series. The third game will be played next Friday at the RVCC (8:30pm) while the fourth contest will be held in St-Quentin the following night at 8pm. PERTH-ANDOVER -- Adam Laite's sixth goal of the playoffs at 7:52 of the third period helped break a 1-1 tie as the River Valley Thunder upended the St.Quentin Castors 4-1 Saturday night to take a 1-0 lead in the first game of the semi-final series. Laite scored while his team had the man advantage, giving him a total of 3 power play goals since the beginning of the playoffs. It was also his second winning goal in 6 games. The 860 spectators who gathered at the RVCC were surely not disappointed with the effort deployed by the two teams on the ice. As advertised, it was a tight contest with great goaltending on both sides. In the end, it was the Thunder power play unit that made the difference once again in the final score. After killing a few penalties, especially in the first twenty minutes of play, St.Quentin couldn't contain the Thunder in the final frame as they tallied two power play goals, including Laite's game winner. It was the Castors however who took the first lead in the game as rookie Eddie Banville scored with the man advantage at 8:05 of the first period. It was Banvile's 4th goal of the playoffs. Goalie Samy Querry of St.Quentin blocked all 15 shots he faced during the period. No goals were scored in the middle frame as the Castors dominated their opponents in shots on goal, 12 to 9. It was finally captain Lachlan MacIntosh who put the Thunder on the board at 3:54 of the third period on assists from Sheldon Sappier and Adam Laite. And at 7:52, Laite gave the Thunder the lead for good. Luke Gallant then pushed the margin to two goals with another power play goal. Brandon Parsons added the empty netter late in the game to bring the final score at 4-1. Laite and Gallant each had a 1 goal and 1 assist performance while David Crossman picked up 2 assists. Samy Querry started the game in net for the visitors but was replaced by Pierre-Luc Theriault after the third Thunder goal. Nick Nozzolillo was a dominant force in net, blocking 35 of the 36 shots he faced. Perth-Andover shot a total of 38 times on goal compared to 36 for the Castors. PERTH-ANDOVER -- Adam Laite scored three times while Brandon Parsons netted two goals as the River Valley Thunder advanced to the next round, handling the Temiscouata Predators Friday night by a convincing 9-2 score. Close to 500 spectators were in attendance at the RVCC. Perth-Andover wins their Quarter final series 4-1 and will now face the St.Quentin Castors in the next round, beginning next weekend. With key offensive players missing from their lineup, the Predators were dominated in the final frame as the Thunder scored 5 goals, including 3 in the last four minutes of play. Mackenzie Brown was the first to score for the Thunder at 3:25 of the opening period. Phélix Bossé then tied the game for the Predators at 8:46, but with 5 minutes remaining, the Thunder took the lead once more as Adam Laite scored a power play goal. Then at the very end of the period (19:16), Brandon Parsons brought the Thunder lead to two goals. The Thunder dominated the second period, shooting 20 times on goal against 11 shots for the visitors. Luke Gallant was the only one to score however at 6:27 while his team was shorthanded. Michaël Beaulieu added Temiscouata's second goal mid way in the period and after fourty minutes of play, the River Valley Thunder had a 4-2 lead. Perth-Andover again dominated the third frame, scoring five times, including 3 goals on the power play. 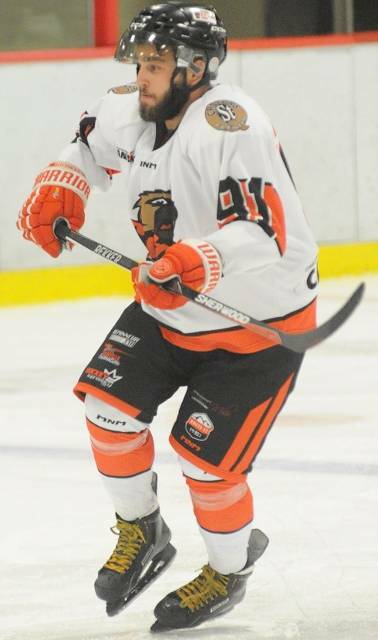 Adam Laite completed his hat trick, adding his 4th and 5th goals of the series. Matt Porter, Brandon Parsons (his 2nd of the contest) and Ben Dee completed the scoring. By adding 4 power play goals, the Thunder brought their total to 14 for the series. Adam Laite had a strong game offensively, scoring 3 goals while adding 3 assists. Brandon Parsons (2g 1a), Luke Gallant and Ben Dee (1g 2a) and Sheldon Sappier (3a) totaled 3 points in the game. Perth-Andover dominated 51-29 in shots on goal as Nick Nozzolillo picked up his 4th victory of the series. DEGELIS (Qc) – The Predators scored twice in each period and resisted to a Thunder comeback in the third period, picking up their first win of the series Sunday night in Degelis by a score of 6-4. Temiscouata avoided elimination as a 5th game is needed; it will be played Friday night at 9pm at the RVCC. Étienne St-Jean et Michaël Morin scored two goals each in the victory. Over 200 minutes in penalties were awarded in the game, 123 min. to the Thunder and 113 to the Predators. It is possible that many key players will have to miss the next contest due to suspensions. The Predators took a 5-2 lead in the 8th minute of the third frame before the Thunder reduced the margin to a goal as Bradley Johnston and David Crossman each scored on the power play. Temiscouata replied however with a power play goal of their own at 18:15 as William Plourde scored the insurance goal for the home team. Phélix Bossé and Michaël Morin scored in the first period as the Predators took a 2-1 lead. Mackenzie Brown tallied the Thunder goal at 7:36. It is during the second period where things got rough on the ice as many major penalties, including game misconducts, were given to both teams. Temiscouata took a 4-2 lead after 40 minutes of play. Étienne St-Jean and Michaël Morin finished the game with 2 goals and 1 assist. Phélix Bossé (1g 2a) and Andrew Randazzo (3a) also registered a 3 point night. 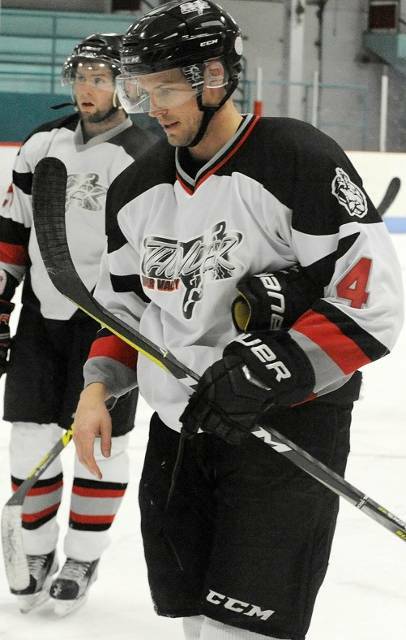 Brandon Parsons was the offensive leader for the Thunder with a 1g 2a performance. Perth-Andover dominated 37-33 in shots on goal. Keven Dubé-Blanchet (Tem.) and Nick Nozzolillo (PA) were in goal for their respective teams. PERTH-ANDOVER – Lachlan MacIntosh and Mackenzie Brown each helped the River Valley Thunder break a 3-3 tie in the third period, contributing to their team's 5-4 win Saturday night in game 3 of the Quarter final series against the Temiscouata Predators. Close to 400 spectators were assembled at the RVCC. MacIntosh's goal came at 1:03 of the third period while the Thunder were on a power play. Mackenzie Brown then doubled the lead with his second of the game and his 4th of the series at 14:27. Frédérick Raymond reduced the margin to a goal late in the third period but it was too little too late for the Predators who fell for a third time in the series. The Thunder took the lead 2-1 in the opening frame with goals coming from Mackenzie Brown and Brandon Parsons. Alex Ouellet replied for the Predators with only 21 seconds remaining to be played in the period. Olivier Dumont tied the score for the visitors at 32 seconds after the puck was dropped to open the second period. But Luke Gallant gave the lead back to the Thunder with a power play goal at 11:40. Temiscouata then tied the score again at the 15 minute mark. Mackenzie Brown (2g 1a) and David Crossman (3a) both finished the game with 3 points. Alex Ouellet had a good game offensively for the Predators, taking part in all four of his team's goals with a performance of 2g 2a. Frédérick Raymond and Olivier Dumont also contributed with 1g 2a. 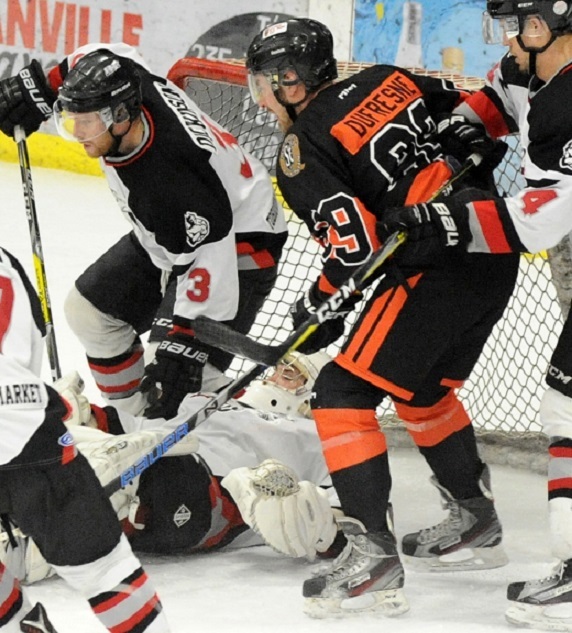 The River Valley Thunder scored three times with the man advantage, pushing their total to 7 goals in the series in three games. Each team totaled 32 shots on goal. Nick Nozzolillo and Keven Dubé-Blanchet were the two goalies for their respective team. DEGELIS (Qc) -- Luke Gallant and Mackenzie Brown each scored twice, giving the River Valley Thunder a 6-2 victory Sunday afternoon in Degelis against the Temiscouata Predators. Perth-Andover now leads their quarter final series 2 games to none. Just as they did in the previous game, the Thunder imposed their will in the first twenty minutes of play, scoring a pair of goals, both on the power play. Luke Gallant, at 4:10, and Mackenzie Brown (9:36) gave the visitors a 2-0 lead after one period. Andrew Meredith reduced the lead to one goal by scoring for Temiscouata at 2:49 of the second frame. However, less than three minutes later, Luke Gallant added his second of the contest to push back the lead to two goals. Then at 12:41, Sheldon Sappier scored his 4th of the playoffs to add to the Thunder lead. The Predators cut that lead in half in the third when Jean-Francois Corbin scored in the 6th minute of play, but Lachlan MacIntosh (on a power play) and Mackenzie Brown (his 2nd of the game) added the 5th and 6th goals for the River Valley Thunder. Luke Gallant added two assists to his credit for a 2g 2a performance. The Thunder dominated 41-37 in shots on goal. Nick Nozzolillo picked up the win in goal. The third game of the series will be played Saturday night with the puck drop scheduled for 9pm at the RVCC. 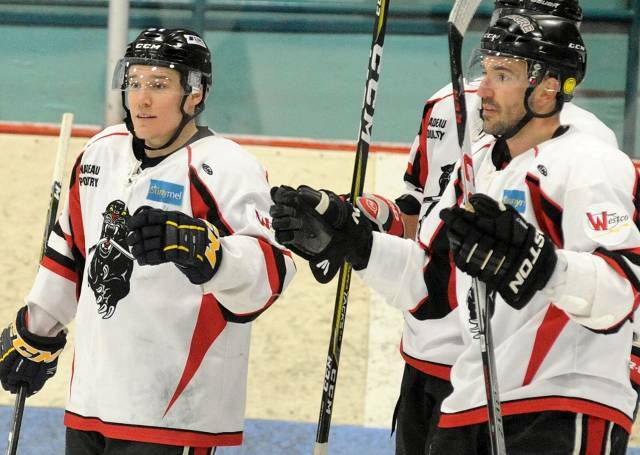 PERTH-ANDOVER – Sheldon Sappier and Adam Laite each scored two goals as the River Valley Thunder took the lead in the Quarter final series against the Temiscouata Predators, winning by a score of 7-1 Saturday night at the RVCC. The Thunder also dominated the game in shots on goal, 44 to 28. Logan Titus opened the scoring at 9:28 of the first period on assists from Brandon Parsons and Luke Gallant. Adam Laite doubled the lead at 15:25, giving the Thunder a 2-0 edge after twenty minutes of play. Sheldon Sappier tallied his first goal of the game at 1:58 to give the home team a 3-0 lead early in the second frame. Frederick Raymond scored the Predators' first and only goal of the game at 4:33 before Bradley Johnston replied at 16:21 to give the Thunder a 4-1 lead after forty minutes of play. The Thunder added three more in the third as Sheldon Sappier and Adam Laite each scored their second goals of the game while Lachlan MacIntosh completed the scoring. Adam Laite had a good game offensively as he picked up 4 points with a 2 goal and 2 assist performance. Lachlan MacIntosh (1g 3a) and Mitch MacMinn (3a) also contributed with 3 points each. Goalie Nick Nozzilillo registered the win as Keven Dubé-Blanchet was the one defending the Predators' net. 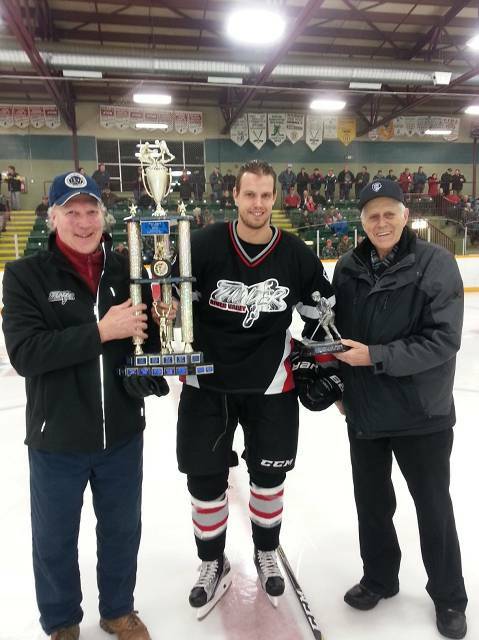 Before the start of the third game of the series Saturday night, the RHL handed over two trophies to the River Valley Thunder team. 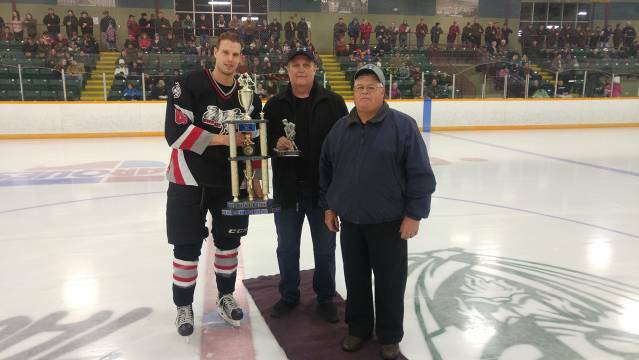 For his contribution on the blue line, Luke Gallant was awarded the trophy for Best Defenseman for the 2017-2018 campaign. Gallant also had a strong showing offensively as he scored 15 goals while adding 22 assists for 37 points. He also scored 3 winning goals and 6 power play goals. He received the trophy sponsored by GRAVURES YVES MARTIN. On the photograph, Gallant is joined by John Sadler at left and Alphée Martin at right. And for the second consecutive season, Jesse Perley was awarded the trophy for Coach of the year. The Thunder finished the regular season in second place in the standings while being the least penalized team. They also finished the season with the best goals against average in the league. His trophy was sponsored by JAMES CONCRETE Ltée. 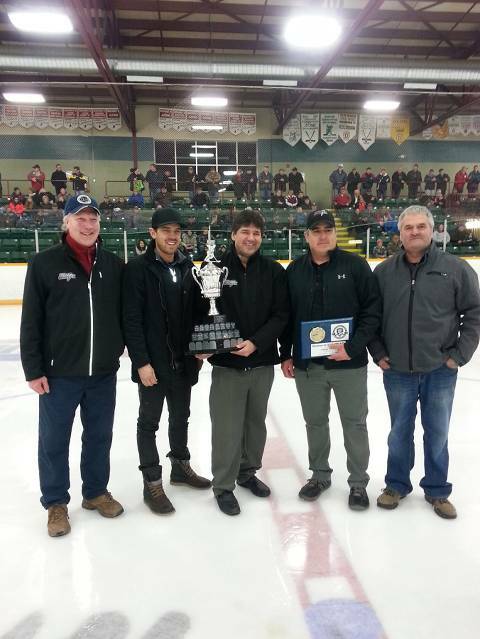 Presenting the award to Perley are in order, from left to right: John Sadler, Kyle Bellefleur, Jeff Perley, Jesse Perley and Rodney Cyr, president of the league.